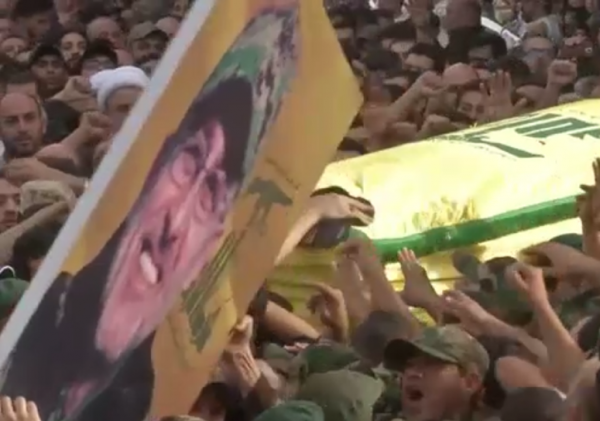 The announcement by Hezbollah that the death of Mustafa Badreddine in Syria was due to artillery fire by rebels fighting the Assad regime appeared, at first glance, to clarify just which of his many enemies have finally managed to catch up with him. But in death, as in life, mystery and intrigue shrouded the man who has been held responsible for some of the most spectacular atrocities in the Middle East. There had been no recorded shelling of the area near Damascus airport where he was killed. And, even if there had been artillery rounds coming in, it is extremely unlikely that the Syrian rebels would have had the information and the sophisticated weaponry to carry out a surgical strike which takes out one person but causes little collateral damage. Hezbollah, the Lebanese Shia militia, stated that their investigation showed that ‘Takfiris ’ had carried out the attack. The term Takfiri is used generically for extremist Sunni militants. The al-Qaeda affiliated Jabhat al-Nusra had earlier claimed credit for eliminating Badreddie – but it maintained it had taken place during a battle in Khan Touman, south of Aleppo which does not really add up. Hezbollah had also said initially that an Israeli air strike had resulted in Commander Badreddine’s “martyrdom”. But this version of events was subsequently withdrawn. Mystique had grown around Badreddine reminiscent of another urban guerrilla celebrity, Carlos the Jackal in the 1970s and 80s. Lebanese born Badreddine practised extreme violence from the shadows, but also, like the Venezuelan, Ilich Ramirez Sanchez, had time for racy pastimes. There is no official record of Badreddine’s existence . No passport, no driver’s licence, or bank accounts have been found in his name and very few photographs have been discovered. The special tribunal for Lebanon, sitting in the Hague, investigating the assassination of Lebanese premier Rafiq Hariri described him as an “untraceable ghost”. Yet, at the same time the Hezbollah commander drove around in a Mercedes in the Beirut seaside resort of Jounieh, a Christian district, where he owned an apartment and, an upmarket jewellery shop. According to reports he had 13 mistresses, Muslim and Christian. But it is the sheer array of adversaries which illustrates the importance of Badreddine, who had taken the nom-de-guerre of Sayed Zul Fikar, after the fabled sword of Imam Ali, the most venerated figure in Shiadom, in the turbulent realpolitik of the region and offers pointers to possible consequences to his death. The 55-year-old Hezbollah commander had been accused of being in charge of the assassination of Hariri in 2005. He had also been accused of plotting, along with his brother-in-law and mentor Imad Mughaniyeh, of bombing of the US Marines base in Beirut in 1983, killing 241 people. He was convicted, under the alias of Elias Fouad Saab, in Kuwait in connection with the suicide car bombings of the US and French embassies. He was freed from there after Saddam Hussein invaded Kuwait and later organised attacks on American and British forces in Iraq. In 1996, it is claimed, he was involved in the bombing in the Saudi city of Khobar, killing 19 Americans. He had also been involved in virtually every significant action against the Israelis. The Syrian regime was suspected of commissioning the Hariri assassination and the backlash from that in Lebanon led to Basher al-Assad having to pullout Syrian troops from the country. And it is in Syria’s civil war that Badreddine has been playing a key role for the last five years. He is believed to have arranged the meeting between President Assad and Hassan Nasrallah, the Hezbollah leader paving the way for thousands of the militia’s fighters to be deployed in support of the regime. Badreddine was, in many ways, central to the Shia militia’s presence in Syria, in charge of its fighters. After his killing Hezbollah stated “the commander had said months ago that he would not return from Syria except as a martyr or carrying the flag of victory”. The outcome of Syria’s savage strife remains uncertain. Hezbollah maintains it is stopping Sunni extremists from coming into Lebanon, and protecting Shia shrines. But it is also beholden to the Assad regime for being a conduit for its supplies of Iranian weaponry. Ali Larijani, the influential parliamentary speaker in Iran, another country backing President Assad, eulogised Badreddine, declaring his that his “martyrdom” will inspire and strengthen resistance against the enemy. But, following the recent election victory of President Hassan Rouhani and his liberal supporters, Tehran has begun to draw down its military presence in Syria. Hezbollah had sent sizeable forces into Syria and has a paid a heavy price, with around 2,000 killed and 5,000 wounded. There has been dissent among some of the bereaved families and questioning in the rank and file over the continuing losses. The death of Badreddine, the militia’s main proponent of the Syrian mission, is likely to be a factor in decisions it makes over the scale of its commitment in the conflict. And, considering his pivotal role in Hezbollah’s military history, the loss will be felt in operational level in other arenas. More details, meanwhile, will emerge about the killing, with every possibility of a surprise or two in store. Did anyone look in the box they buried?? Glad to see another “martyr” killed. May Allah send to death many more Hezbollah and Takfiri terrorists that bring death & destruction to everyone.